Casino Heroes – Weekend Promotions! 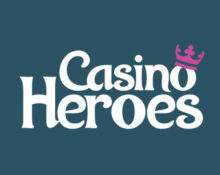 Compete for cash prizes and claim Free Spins on deposit! The Winter Games at Casino Heroes are heading into its third weekend with two more thrilling tournaments on a selection of Yggdrasil slots with a combined prize pool of €4,000 in cash going to the TOP150 spinners. Plus, players can claim up to 60 Free Spins on the latest slot creation from Play’n GO, Planet Fortune. Put your bets race gear on and have fun this weekend! Take part in a 3-day cash race on Beauty and the Beast, Valley of Gods. 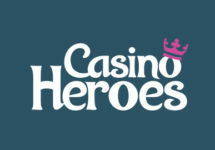 Score the highest coin win on a single spin across all featured games with a minimum bet of €0.10, to place in the TOP100 for a share of €2,500 in cash. Prizes range from €15 – €500, credited with no wagering requirements within 24 hours after the tournament has ended. Additionally, players in the TOP100 will be invited to a raffle where another €500 in cash will be randomly handed out to 25 lucky players. Complete three missions in the fewest possible spins to race into the TOP50 for a share of €1,000 in cash. Minimum bet is €0.10 or currency equivalent. Only cash bets are eligible, play with bonus money will not be counted. Terms and conditions apply.